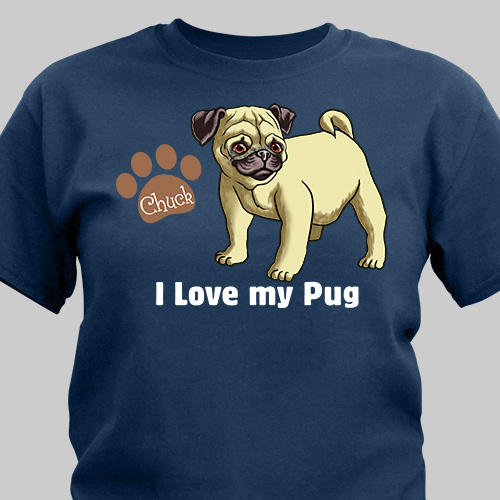 Any proud pug owner on your shopping list would rock one of these Personalized T-Shirts with pride. Whether the occasion is Christmas, a birthday, or welcoming home a new pug, this Personalized Shirt will make a great gift for dog lovers. 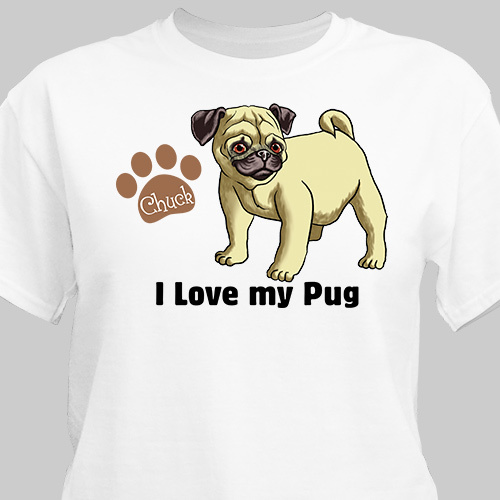 Our Pug T-Shirt is available on our premium 100% cotton t-shirts, machine washable in adult sizes S-3XL. Free personalization of any name is included. Additional Details Get this personalized gift for anyone on your shopping list who loves boasting about their pug! This particular t-shirt would definitely make them smile. Our Personalized I Love My Pug Keychain is another great gift option to consider.